A leading CMMS that encompasses the full spectrum of maintenance activities, PMC is a best-of-breed solution designed specifically for maintenance. Managing maintenance operations has never been so simple with PMC preventative maintenance, which is easy for technicians to learn and use. A computerized maintenance management system (CMMS) can simplify work order management, reduce parts inventory, and extend asset life. At the heart of PMC is a complete work order generation, management, and reporting system that effortlessly handles an unlimited quantity of work orders and allows you to quickly review work orders for your selected due dates. PMC preventative maintenance also boasts a centralized purchasing system, extensive inventory control system, and comprehensive reports and graphs module. 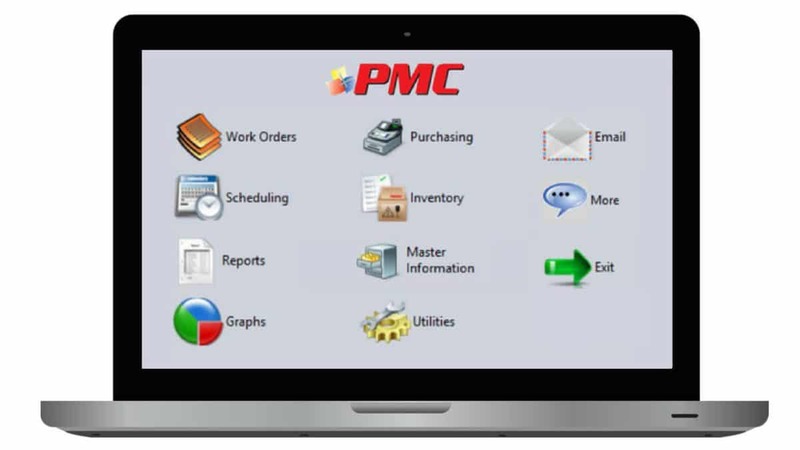 PMC’s work order module is a complete work order generation, management, and reporting system allowing you to generate scheduled and unscheduled/emergency work orders. It boasts easy-to-use calendar-based windows divided into Daily, Weekly, 2-Week, and 4-Week increments. You can quickly review all of the work orders due for dates selected and then reschedule, start, complete, cancel, print, or view the work orders in brief or in detail. With the Time Card option, you can quickly assign labor hours to various work orders for faster processing and closing. Prevent work orders from being scheduled on holidays and days when operations are shut down by using the Calendar Lockout feature. Enter asset readings with the Asset Count/Meter Update option so work orders are generated on time. Issue and track purchase orders with PMC’s purchasing module, which allows you to quickly request parts as well as create and print purchase orders automatically. Whether you want to pass purchase orders on to the purchasing department or do the work yourself, the system can be adapted to your needs. The interconnected areas of PMC allow you to create a purchase order, check the quantity of parts in inventory, view any work orders using a particular part, compare prices and lead time between vendors, and then return to your original task. This optional feature allows non-PMC users to submit maintenance requests from any location through a standalone requester program, web form or email message. It also includes a messaging system that enables dispatches, status updates, and priority communications to be sent as email messages or text messages to a range of devices.